Ip Man, or Yip Man as he’s also known, is considered the Godfather and mentor of some of the most accomplished names in martial arts, including Bruce Lee and Wong Shun Leung. Yip Man was born in China and was considered a most esteemed Wing Chun teacher who had taught numerous students who later went on to become authorities in their own right. 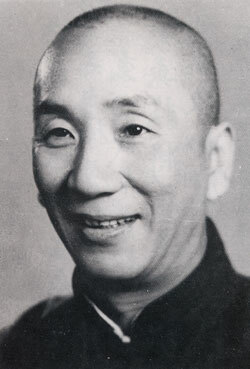 Born to Yip Oi-dor and Wu Shui, Yip Man belonged to an affluent family in Foshan region of Guangdong in China. He received a very traditional Chinese education along with his other siblings – elder brother Yip Kai-gak, elder sister Yip Wan-mei, and younger sister Yip Wan-hum. Yip Man’s martial arts education commenced very early on in his life when he was only 7, by another authority of Wing Chun, Chan Wah-Shun. Chan was reaching the end of his life and professional career when Yip Man started learning Wing Chun – Chan was seventy at the time. Due to Chan’s age, Yip mostly learned Wing Chun from a senior confidant of Wu Chung-sok, who was also the second eldest disciple of Chan in the entire Chinese region. Chan would live for only another three years after Yip officially commenced his Wing Chun training under Chan’s supervision. 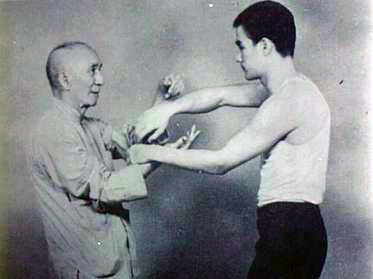 Reportedly Chan had explicitly instructed his disciples, before his death, to continue teaching Yip with some of the most sacred and difficult skills of Wing Chun. Yip continued training for another six or so years before he had to move to Hong Kong with one of his relatives, Leung Fut-ting. A year later he was admitted to an esteemed school in Hong Kong named St. Stephen’s College, a secondary school mostly attended by the pupils of rich families and foreigners, of whom there were many in Hong Kong at the time. Yip’s very first application of Wing Chun is recorded when he intervened to help a poor woman who was getting battered by a wealthy foreign police officer. Soon after that, Yip Man was practically running a teaching school and was highly respected among his peers, although he had over time acquired the reputation of a teacher whose students didn’t stick around for too long and left within a month or two of starting the course. Yip, for this reason, was not really content with his teaching business and always strived to do better and better to keep his pupils in the school. He had to move twice – first to Sham Shui Po’s Castle Peak Road and then to Yau Ma Tei where he opened his school on Lee Tat Street. By that time, Yip had already trained quite a few of his students to a proficient level, and they were already teaching in various institutes across the city. This started a new era for Yip’s popularity as a respected martial arts’ teacher, as his many students compared their skills and involved displays of friendly bouts, which only contributed to Yip’s fame. Ip Man and Bruce Lee. By 1967, some of Yip’s students convinced Yip to establish Wing Chun Athletic Association; the purpose of this venture was to help Yip tackle his financial problems posed by life in Hong Kong. One controversial aspect that surrounded the later part of Yip’s life, and contributed to his decline in health and financial position, was his opium addiction. Some of Yip’s former students, including Duncan Leung, claimed that Yip would use most of his tuition money that he received towards his opium addiction.